President Barack Obama decisively won reelection to a second term, garnering the popular vote as well as 332 electoral votes to the challenger’s 206, but the course of presidential campaigning never did run smooth. Despite a slowly rising stock market and falling unemployment rate, the economic recession provided the Romney campaign with rich opportunities for criticism of Obama’s first term. Obama’s team countered negative advertising with its own program to discredit Romney’s platform, building on the microtargeting techniques from 2008. A surge in social media promotion and fact-checking changed the tenor of campaign reportage for better and for worse. On December 6, 2012, prominent members of President Obama’s election staff (including David Axelrod, Joel Benenson, Stephanie Cutter, Anita Dunn, and Jim Margolis) met with notable members of the Romney campaign (including Eric Fehrnstrom, Kevin Madden, Beth Myers, Neil Newhouse, and Stuart Stevens) for a debriefing of this tumultuous election cycle. Each team made a formal presentation about how it prepared for and responded to the events of the election, describing the members’ strategies and perceptions at different points of the campaign and interrogating the opposing party’s team about its tactics. In this book, Kathleen Hall Jamieson provides an overview and an edited transcript of the all-day event, along with a timeline of election year milestones. A DVD featuring select video of the proceedings is included. 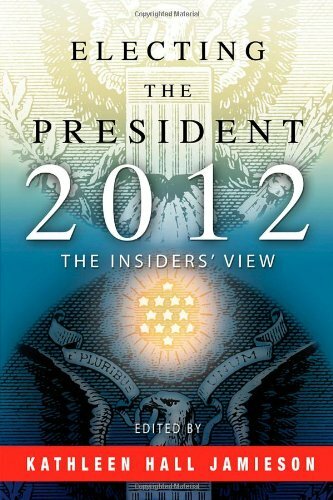 Electing the President, 2012 offers a detailed look into the internal machinery of a presidential campaign and insight into the principles that drive outcomes in a democratic election.